Francesco Petrarch was an Italian poet, scholar and philosopher. Check out this biography to know about his childhood, life, achievements, works & timeline. Francesco Petrarch was an Italian poet, scholar and philosopher born in the beginning of the fourteenth century AD. 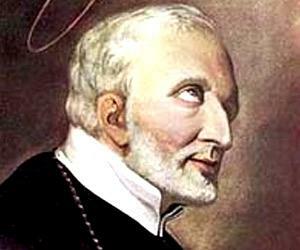 He is also known as the Father of Humanism and had great attachment to ancient manuscripts. It is said that Petrarch’s discovery of Cicero’s letters paved the way for the Italian Renaissance. He himself was a great letter writer and the collection of his letters shows how the author left behind his old thinking that represented the European Middle Age to pave the way for the new awakening of the Renaissance period. 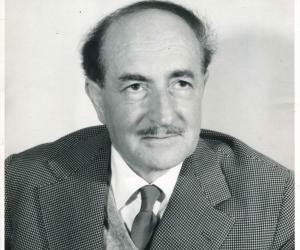 However, his ‘Rime sparse’, which became more popular as ‘Il Canzoniere’ is probably his most popular creation. Smitten by a chaste love at the age of 23, he dedicated almost three hundred sonnets to a woman named Laura. However, later as he became more spiritual and began to embark on an inward journey, the theme of these poems began to portray his absolute trust in God. Some historians also refer to him as the ‘first tourist’ because he traveled a lot and that too for pleasure; not out of compulsion. 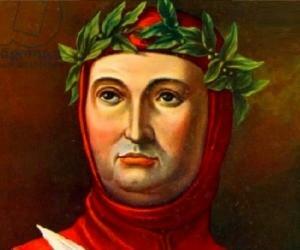 Francesco Petrarch was born as Francesco Petracco in Arezzo, a city located in Central Italy, on July 20, 1304. His father’s name was Ser Petracco and his mother was Elleta Canigiani. Francesco also had a younger brother named Gherardo. 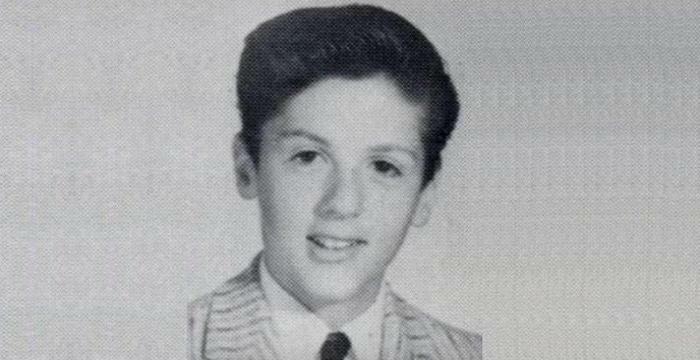 In 1312, Ser Petracco, a lawyer by profession, moved to Avignon, located in Provence region of Southern France, in the hope of securing a position under the Avignon papacy of Pope Clement V. Consequently, a large part of Francesco’s childhood was spent in this region. Petrarch initially studied at Carpentras. In 1316, at the insistence of his father, he joined the University of Montpellier to study law. He studied there till 1320 and then shifted to Italy and continued his studies at Bologna till 1323. His mother died sometime during this period. Poems written during this time are his earliest surviving poems. Petrarch, who was more interested in Latin literature, could never envisage a life as a lawyer. Therefore, when his father died in 1326, he abandoned his career in law and went back to Avignon. In Avignon, he took a nominal position in the household of Cardinal Giovanni Colonna. The job gave him ample time to pursue his scholarly interest. Very soon he became famous not only for his scholarship, but also for his elegant behavior. Around this time, Petrarch started writing love sonnets on a woman named Laura. Although the poet had not identified her, it is believed she was Laura de Noves of Avignon. From the poems it can be surmised that Petrarch first saw her on April 6, 1327 at the St. Clair Church in Avignon. Although she, a married woman and a mother, did not give him much encouragement, he was smitten by love that later took a more spiritual turn. Over a period of twenty years, Petrarch wrote 300 sonnets and a few long poems about her. These poems have been translated in various languages and inspired established poets like Sir Philip Sidney, Edmund Spenser, Michael Drayton, William Shakespeare etc. Meanwhile, Petrarch pursued his study of classical Latin literature and wrote many poems as well as letters that would eventually be counted among his greatest creations. He also travelled a lot during this period. In 1330, he went to Lombez to visit his old friend Bishop Giacomo Colona. Next in 1333, he toured through France, Flanders, Brabant and Rhineland. In all these places he visited well-known scholars. He also looked through monastic libraries in the hope of recovering lost manuscripts. In France, he met Augustinian monk Dionigi of Sansepolcro; he gave Petrarch a copy of ‘Confessions’ by St. Augustine. The book became his spiritual guide and a constant companion. In April 1336, he along with his brothers and two servants climbed Mont Ventoux just for the pleasure of climbing. This probably makes him the first mountaineer of the world. At the same time, the visit made him realize that true beauty lies within and he embarked on journey to rediscover his inner soul. In 1337, he visited Rome for the first time and discovered the city’s ancient grandeur among its ruins. On coming back he withdrew from the outside world and started spending a great deal of time at Vaucluse. Here he started his work on his epic poem ‘Africa’. By and by, Petrarch became well known all over the continent for his scholarship. In 1340, he received invitations to be crowned as poet, both from Paris and Rome. He chose Rome and on April 8, 1341 he was crowned on the Capitoline Hill. He then placed the wreath on the tomb of the Apostle in St. Peter’s Basilica. This was done as a symbolic gesture of uniting poetry with Christianity. From Rome, he went to Parma and then to Selvapiana. In this period, he wrote ‘Secretum meum’, an autobiographical treaty. It shows that he was going through a spiritual crisis during this period and hoped that even if a man was absorbed in worldly affairs he may yet receive the grace of God. He came back to Avignon in 1343. In 1345, he made a trip to Verona. Here he came across letters written by Cicero to Atticus, Brutus, and Quintus. The discovery not only helped him to go into the depth of Cicero’s character, but also gave him the idea of make a collection of his letters written to his friends. Towards the end of the same year, he returned to the peace of Vaucluse and spent the time working on ‘De vita solitaria’. He published the treaties in 1346. The theme of ‘De otio religioso’ was also developed here. This is also the time he became keen on establishing popular government in Rome. As a result, he lost a major following in Avignon Papacy and also the friendship of Cardinal Giovanni Colonna. From end of 1347 to 1350, Petrarch stayed in different places like Parma, Padua and Verona. In 1348, there was an epidemic of Black Death in that area. Many of his friends were affected by this deadly disease. Laura too died in this plague. In 1350, he went to Rome once again. Here, he was visited by his old friend Boraccaccio. He offered Petrarch a Chair in the University of Florence, which he graciously refused. By now, he was fed up with worldly affairs. This was also the year he started on ‘Metricage’. Accordingly, he returned to Vaucluse in May 1351 and concentrated on literary work. He also used this time to divide his poems on Laura into two separate parts; ‘Rime in vita di Laura’ or poems during Laura’s life and the ‘Rime in morte di Laura’, which are poems after Laura’s death. Some time now, he also started working on ‘Trionfi’. It talks about human beings progress from earthly passion to spiritual fulfillment. His relation with the Avignon papacy soon became so bitter that sometime in 1353 he shifted his base to Milan and stayed there for eight years. Here he continued to work on ‘Trionfi’ and ‘Epistolae familiares’; the latter being the collection of his letters. Here he also completed the final editing of his poems on Laura, collectively known as ‘Rime’. In early 1361 Petrarch went to Padua to escape Black Death that had been ravaging the area. From there he went to Venice in September 1362. There he received shelter; but had to promise that he would bequeath his manuscripts to the city. Here he had a good and honorable time. He moved back to Padua in 1367 and lived there until his .death. However, from 1370, he spent considerable time at Arquà, where he had another house. He continued his work here and wrote ‘De sui ipsius et multorum ignorantia’ in which he defended his idea of humanism. in 1370, he was invited to visit Rome; but at Ferrara he had a heart attack and had to go back home. In spite of old age and ill health he continued his work till he died in 1374. While his love for Laura had been pure Petrarch had a son named Giovanni, who died early and daughter named Francesca, by an unknown woman. In his old age, he was looked after by Francesca and her husband Francescuolo da Brossano. Petrarch had a granddaughter named Elleta by them. Petrarch died on July 19, 1374 at Arquà while working in his study at night. 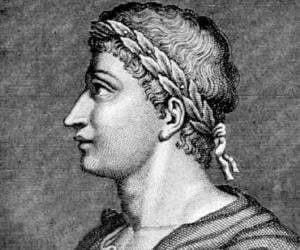 When he was discovered next morning he had his head resting on a manuscript of Roman poet Virgil. Even long after his death his work continued to inspire poets, thinker and philosophers. Most scholars admit that the modern Italian language owes its origin to Petrarch’s writings.